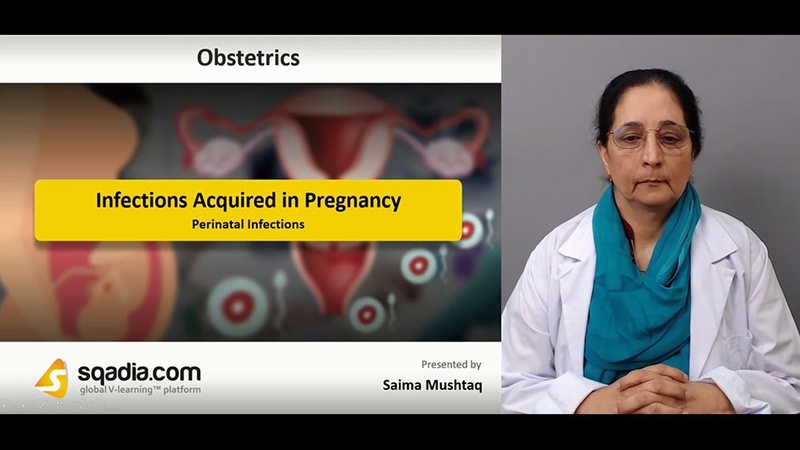 The goal of this lecture is to expand the knowledge about Infections Acquired in Pregnancy. So, in this regard, rubella, syphilis and toxoplasmosis are elaborated along with their clinical features, effect and treatment. After that, educator make perfectly clear the rate of infection triggered off by cytomegalovirus as well as chicken pox. Furthermore, educator reveals what serious results listeria can cause and how do malaria effect pregnancy. Next, factors influencing transmission of herpes are focused. Lastly, the risk factor, management, and treatment for HIV is pursued.